This Machine is designed for No Fuss extrusion welding. This machine is ideally suited to small fabrication and maintenance jobs where quick deployment and fast set up are required. 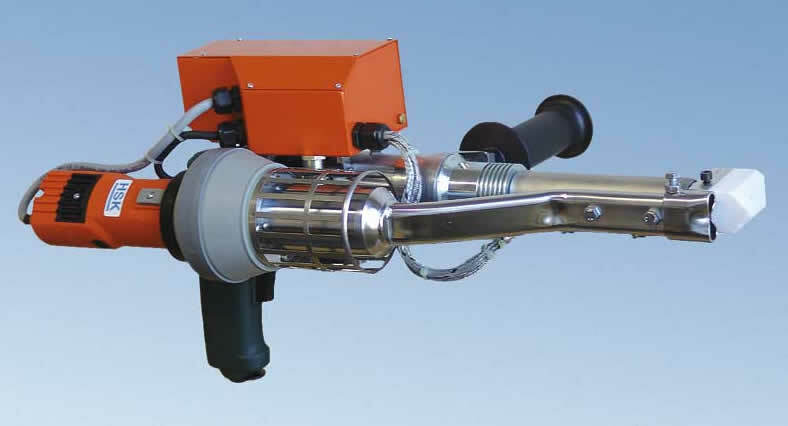 Unlike the HSK12E – This machine is designed for and complies to all current and future DVS standards for extrusion welding (up-to 2009) and is fully compatible with digital temperature control for the extrudate and air temperature, if you don’t need this level of functionality and require a straightforward extrusion welder, then this is the tool for you.